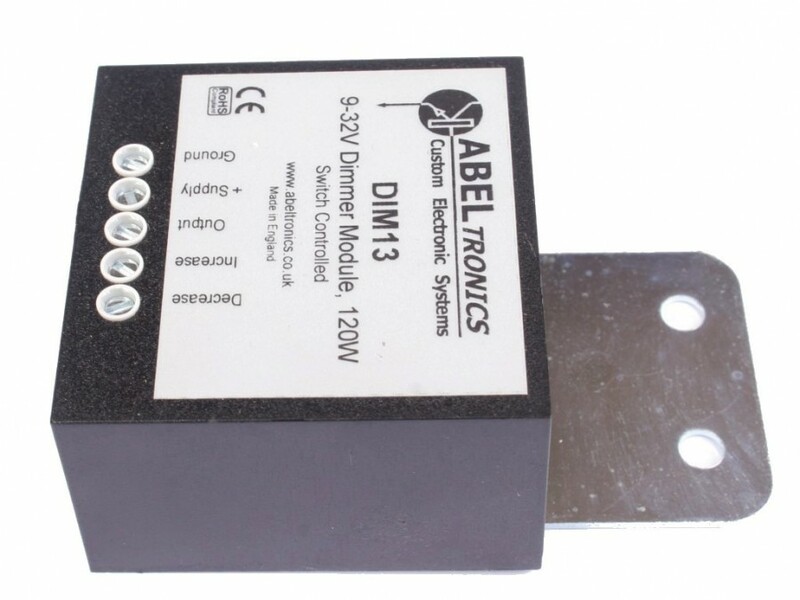 PWM Lamp/LED dimmer module, 12V or 24V, 10A (120W at 12V, 240W at 24V). 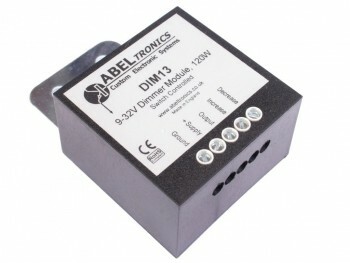 Controlled by a centre-off rocker switch or up/down pushbutton switches. 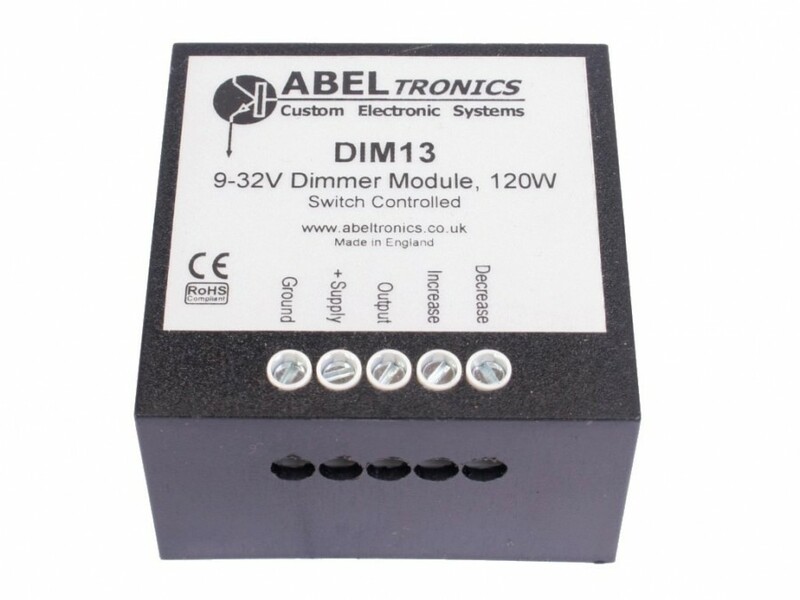 The DIM13 is a low voltage 12V or 24V PWM lamp and LED dimmer module controlled by a two position centre-off rocker switch or two pushbuttons for 'increase brightness' and 'decrease brightness'. 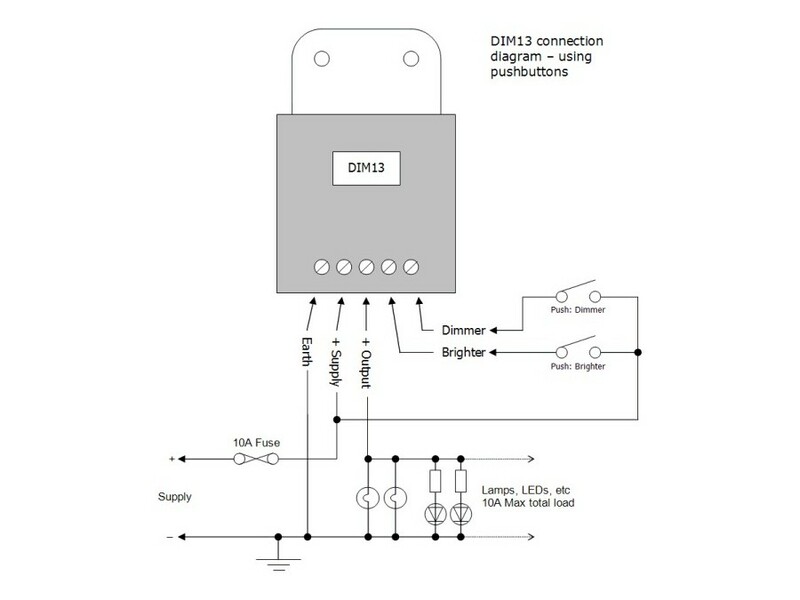 Connections to the DIM13 are shown in the Connection Diagram section. 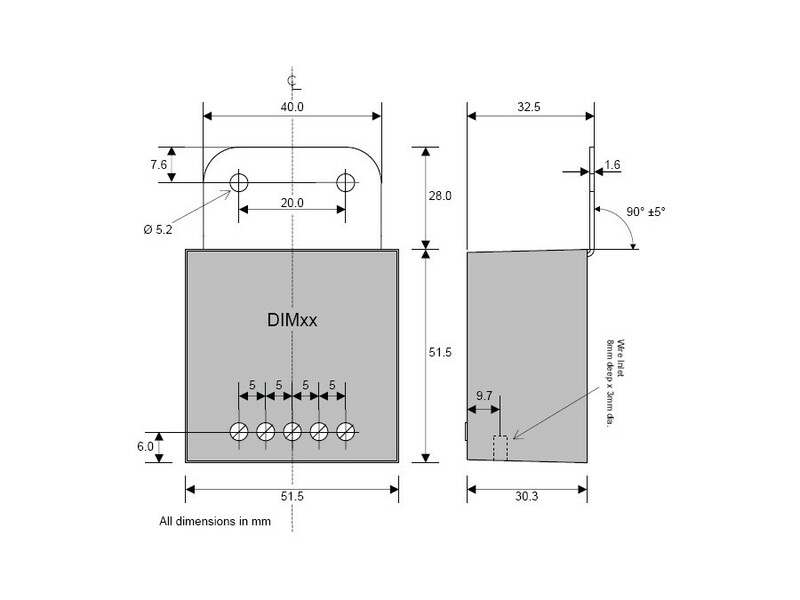 The 'Brighter' and 'Dimmer' inputs should be switched to positive through a suitable rocker switch or pushbuttons (not supplied) - a centre-off momentary rocker switch is shown. 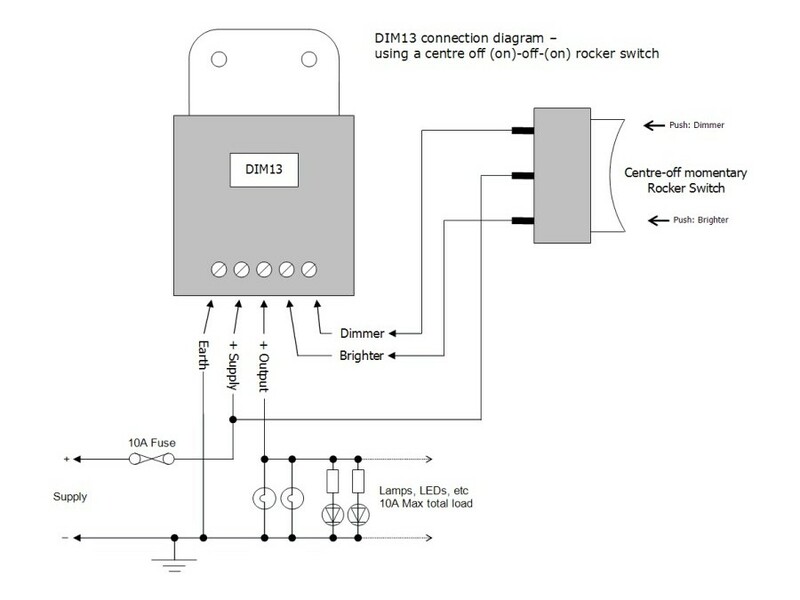 When the rocker or pushbutton is pressed in the 'Brighter' direction, the lamps will get brighter, conversely for the 'Dimmer' direction. 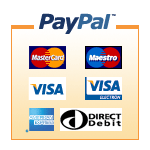 A brief press of the switch will increase or decrease the brightness a small amount. 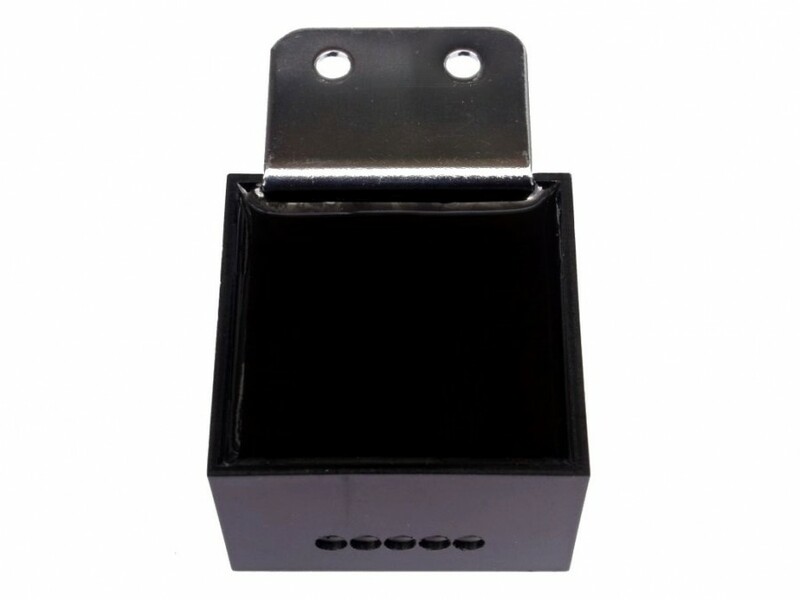 If the switch is pressed continuously, the brightness will increase or decrease for as long as the switch is held, until either the fully-on or fully-off state is reached. 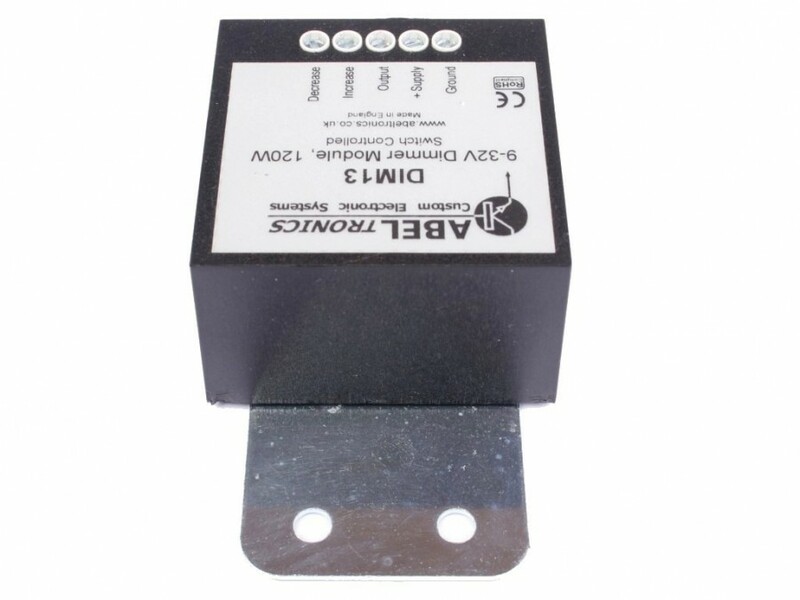 The 'switch' can be any kind of switch, including relay contacts, but it must be switched to the positive supply voltage. 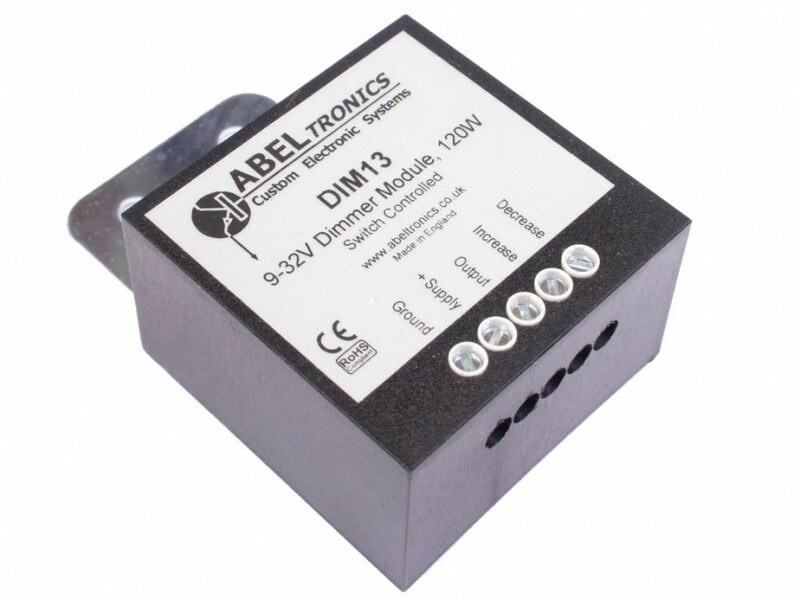 The DIM13 also has a built-in function where the current brightness setting is saved into non-volatile memory every time it is changed. The brightness level remains in memory even when power is removed, and is restored when power is re-applied. This ensures the preset brightness level is not lost when power is removed.